Multixaxis machine controller and EPL network manager. Coordinate up to 16 axes of interpolated motion and additional EPL/CANopen DS402 drive axes, plus 3rd party EPL devices such as encoders and I/O systems. 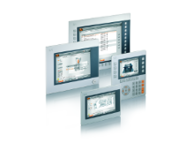 Integrated CANopen provides simple cost effective expansion such as HMI panels and DS402 I/O devices. USB, RS232 and RS485 integrated serial comms. Onboard digital and analogue I/O for logic, analogue and stepper axes providing a mixed technology platform. Programmable in mint multi-tasking basic language. Powerful Atom, Core™ 2 Duo and Core™ i technology processors ensure that the most demanding automation systems run smoothly. A special form factor is available for drive system integration. Panel PCs combine a display and a PC into a single extremely compact device and are available in a wide variety of display sizes with a touch or multi-touch screen and/or input keys. Designs with IP65 protection are perfect for use in especially harsh environments. PLC, motion control and visualization all in one device – this is what sets the Power Panel product family apart. The performance range, including the Intel® Atom™ platform, can easily cover even the most complex robotics and CNC applications. 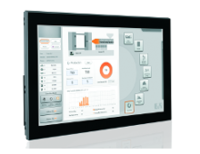 Operator panels with a wide range of display sizes, touch screens and/or keypads are available. With a performance range reaching all the way to Intel® Atom™ CPUs, the X20 system can handle all tasks large or small. This system is extremely compact and highly modular as a result of its unique "slice" system. Perfectly integrated fieldbus connections provide the highest degree of freedom for decentralized machine and system concepts. 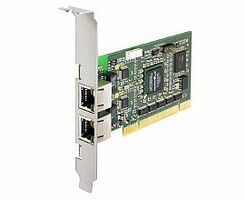 The POWERLINK interface board enables the connection of PC host systems to POWERLINK systems via the PCI bus. The Powerlink functionality runs completely on the FPGA of the interface board. The interface board can work as a managing node (MN) and controlled node (CN) and has extremely fast response times (< 2µs). The synchronization message (SoC) is transmitted in MN mode with a jitter below 50 ns. The interface provides process data to the host via the PCI bus. The board is able to process large quantities of data from systems with up to 240 CNs. It also supports cycle times down to 650 µs. The board is delivered including a driver for Windows and an API. Adaptation to other operating systems (e.g. RTX or VxWorks) is possible and can be performed by HMS. The IMP-MAS4 (Indel Modular Peripherials - Master 4) is a universal CPU-board and designated to be operated as a GinLink or POWERLINK fieldbus master. 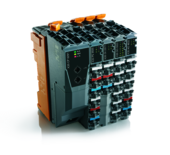 The IMP-MAS4 can be connected over a connector plug with up to 32 I/O modules. Thanks to the high performance it is possible to drive up to 64 axes and to achieve a real-time cycle of up to 16 kHz. 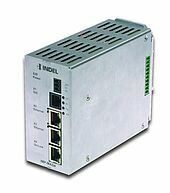 Additionally, to the GinLink and POWLINK interface, the IMP-MAS4 also contains a IPv6 compatible Ethernet interface for the network integration. Consequently, the IMP-MAS4 is prepared for IoT and ready for the Industry 4.0.
openPOWERLINK is an open source industrial Ethernet stack implementing the POWERLINK protocol for Managing Node (MN, POWERLINK Master) and Controlled Node (CN, POWERLINK Slave). It implements all important features required by modern POWERLINK devices such as Standard, Multiplexed and PollResponse Chaining mode of operation, dynamic and static PDO mapping, SDO via ASnd and SDO via UDP, as well as asynchronous communication via a Virtual Ethernet interface. The generic implementation of the POWERLINK stack is portable to any hardware and software platform. Out-of-the box Linux, Windows, VxWorks, Altera and Xilinx FPGAs are supported. For setup and configuration of openPOWERLINK PLC, the open source configuration tool openCONFIGURATOR ideally complement openPOWERLINK. Both openPOWERLINK and openCONFIGURATOR are available on sourceforge . 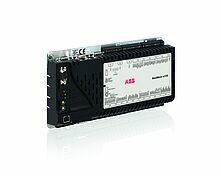 The ESX-3XM is a robust, high-performance safety control unit, which can be programmed in C, Matlab and as a certified control unit also with CODESYS Safety SIL2 in IEC61131. 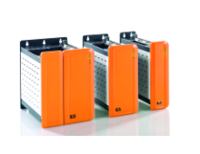 Apart from the ESX-3XM (M stands for Medium), the ESX-3XL (L for Large) version is also available, which is more or less equivalent to double the ESX-3XM with regard to construction size and number of inputs / outputs. Both control devices are suitable for safety-related applications up to Performance Level PL d or Safety Integrity Level SIL 2 and are based on a common architectural concept: In a robust aluminum die cast housing with automotive plug-in connector, a fast 32-bit microcontroller works with 6MByte Flash and 4MByte SRAM, four CAN-interfaces, one series interface, one buzzer and several LEDs. The EX600 serial interface offers a full suite of diagnostics and programmable parameters to meet the most stringent requirements. The EX600 offers excellent flexibility including digital input, digital output and analog input unit options. With the use of D-sub output blocks, a maximum of 9 remote D-sub manifolds can be attached to one EX600 communication module. This serial interface is compatible with series SV1000/2000/3000, VQC1000/2000/4000, S0700 and the new SY series valves. EX260 series is a compact and cost effective fieldbus solution for output applicable to SMC's most popular directional control valves such as New SY, SV, VQC, and S0700 Series. It can control up to 32 solenoids in one manifold. EX260 series has standard dual port connectivity to eliminate the need of switches or branch connector, reducing wiring and component cost. IP67 enclosure rating ensures protection against dush and washdown environment.